Whether you call them 'gas log fires' or 'gas fireplaces', fireplace installation is easier than you think. A gas fitter does the fireplace installation and it can often be done in one day. First, you decide on which type, size and brand of LPG gas fireplace you wish to have. If you have an existing masonry fireplace or inbuilt space heater, then a gas fireplace inserts may be perfect for your home. They are designed and sized to fit into the existing opening. This removes the cost of any additional wall construction. No separate flue is required if you have a masonry fireplaces that is in good condition. For an older masonry fireplace, you can run a metal flue inside the old masonry chimney. Both methods help reduce installation costs. Freestanding gas log fireplace installation is also easy. As the name implies, they stand separate from the wall. Console models are typically placed up against the wall. Freestanding units are typically placed on an elevated plynth base, to raise then off of the floor. Your gas fitter simply installs a metal flue through the roof. For the more ambitious remodeller, there are inbuilt gas fireplace installations. Inbuilt are the way to go if you want a wider profile gas fireplace. You will need to build a false wall enclosure for the fireplace and flue, but the end result is worth it. You can even add a mantel piece. Some models are available with zero clearance options, so the amount of space used can be kept to a minimum. Process of building a false wall to enclose a zero clearance model inbuilt gas fireplace installation. You will note that all three types of fireplace installation have a flue for conveying combustion gases to outside your home. However, the flues don't have a gas fireplace damper. Gas fireplace installation doesn't require a damper because they are sealed with the glass fireplace doors. The glass doors act like a gas fireplace damper when your fireplace is not in use, keeping cold air from entering your home. They also keep the combustion gases out, channeling them up the flue. The exception to this is a gas fireplace insert, utilising an existing chimney. In this case, the gas fireplace damper should always remain open. Pre-purchase the LPG gas fireplace. This will save time and could save you money, if you choose one of our great LPG Bundle Offers. You get a great price, 24 month interest free payments and Bonus Gas Credits! Now you can compare prices for all the major brands of gas fireplaces and gas log fires including Rinnai, Cannon, Regency and Real Flame. If you are a New User of Home LPG, you also want to pick your LPG supplier before the gas fitter starts, as the gas fitter will need to know from whom to order the initial gas bottles. 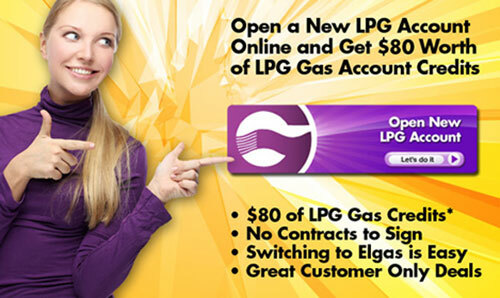 It's fast and easy to Open a New LPG Gas Account Online. As part of the selection process, you will need to decide on the type of LPG delivery that you want. You should choose a licensed gas fitter that is familiar with LPG and LPG gas fireplace installation. We work with you to identify an experienced gas fitter in your area. Try our Trade Finder™ Map Tool to find a qualified gas fitter close to you. If you do not yet have LPG at your home, the gas fitter will install a gas regulator, the gas bottle connectors and the gas piping. 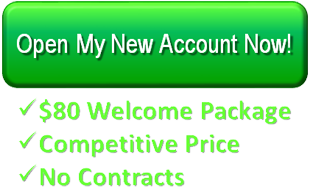 We provide the gas bottles and our $80 Bonus Welcome Package. The gas fitter will then install the gas fireplace and flue kit. We will coordinate the initial gas delivery so that he can test the heater as the last step of the project. 7. Enjoy Your New Gas Fireplace! See Welcome Package for details.